Lil Wayne’s Tha Carter V—the once-revolutionary rapper’s long-delayed 12th studio album—has become one of those works of art, like The Man Who Killed Don Quixote, Detox, Chinese Democracy, Duke Nukem Forever, etc., where the project’s non-existence has cast a longer shadow than its actual reality likely ever could. Wayne has been promising the album—supposedly his last solo effort—since 2012, a passage of time that has encompassed prison time, battles with labels, health issues, and a whole host of imitators, some brazen enough to just straight-up steal on the on-hiatus album’s name. 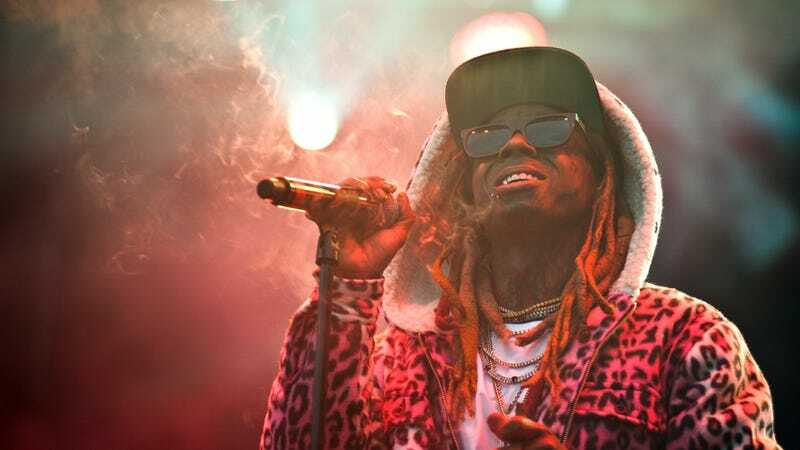 But no more: After making some noises on the topic earlier this month, Lil Wayne has announced that Tha Carter V is absolutely, no fooling coming out this Thursday night, a.k.a. the night of his 36th birthday. Barring some act of god, Cash Money, or the NYPD, we’ll finally all be able to evaluate Weezy’s output in the most sympathetic light possible, i.e., asking each other “Huh, was this actually worth the wait?” Fingers crossed!